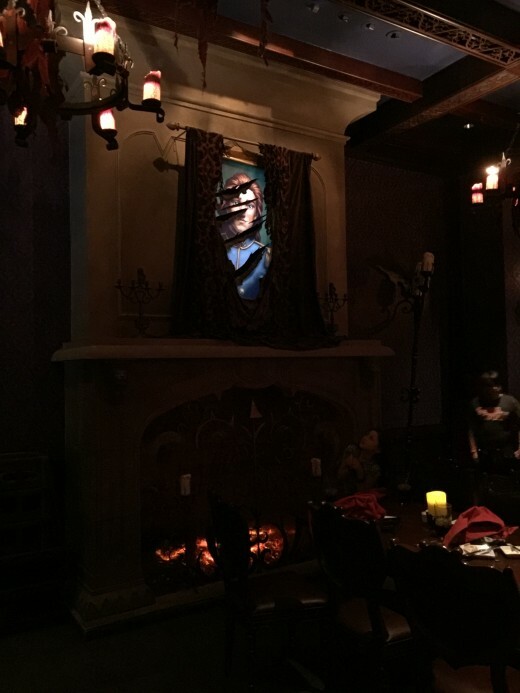 As I began my planning for our most recent trip to Disney World, the new Be Our Guest dining reservation was one of my most coveted. As I only booked my trip around 60 days in advance and did not have the usual 180 days in advance to attempt my reservations, I wasn't given a lot of hope from my Disney advising friends that I would be able to snag this frequently sought and booked dining reservation. So, I was thrilled when I was able to secure a breakfast reservation for 8 a.m. for one of the days of our trip! 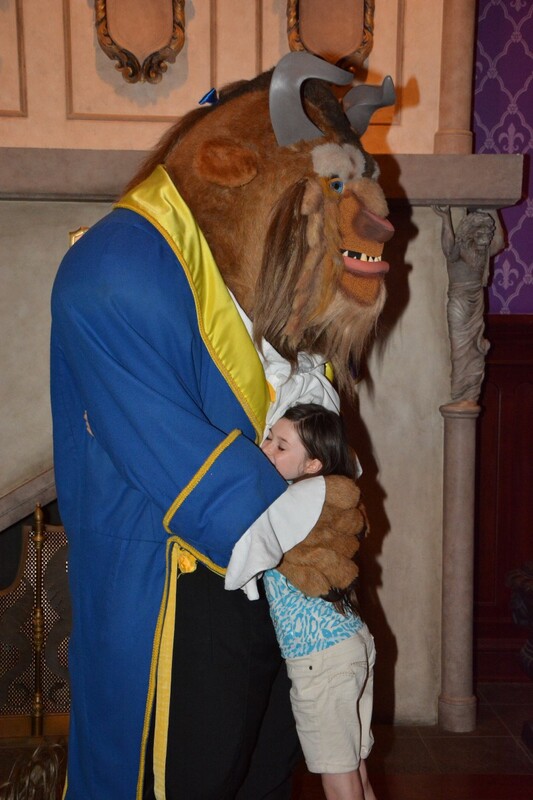 Although I did think the breakfast there would be fun, I was really hoping for the dinner reservation when the Beast actually makes an appearance in the castle. (The Beast is not present for the breakfast or lunch reservation) So, I kept visiting my computer multiple times daily and attempting to get that evening reservation and much to my joy and amazement after a few weeks my search finally uncovered a 9 p.m. dinner reservation! We actually decided to keep our both our breakfast and dinner reservations. I will go into more details later about breakfast. The Be Our Guest castle and restaurant is located in the back of Fantasyland (near the Seven Dwarves Mine Train). You walk up to guest window where you confirm your reservation. The workers instructed us to go wait by the castle entrance until we were summoned to enter. Soon our servers opened the doors and we were escorted into an elegant ballroom. Even with the busy room full of diners, you are swept away into a peaceful enchanting world as you gaze out the large windows at the snow-capped mountains and falling snow. There is lovely old word architecture and paintings on the ceiling. 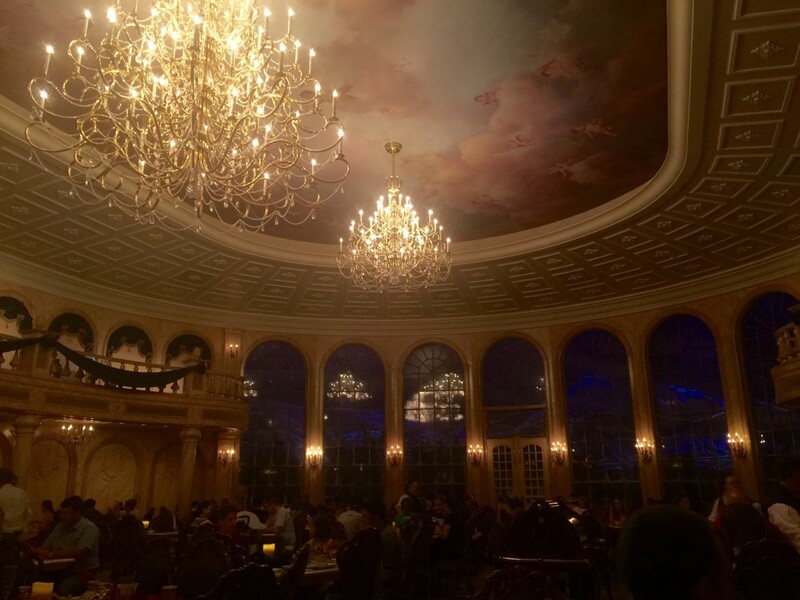 The atmosphere of this restaurant and especially the ballroom dining room were my favorite in all of Disney World! I truly felt transported to a fairy tale! There are also 2 other dining rooms. 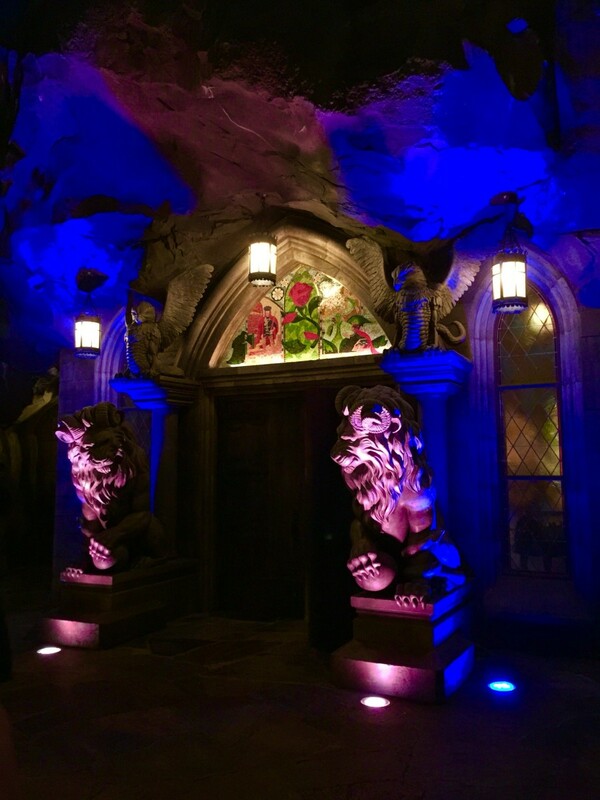 The West Wing which represents the darker side of the castle where you can see the enchanted rose. This room may be a little scary for younger children. It is dark and has eerie flashes of lightening and cracks of thunder. There is also another room called The Castle Gallery with a library theme. Though not an official character meal, part of the fun are the appearances by the Beast. It seemed every 30 minutes or so the Beast would glide through the ballroom and then settle in his own room for guests to visit and take photos with him. The food was excellent and is one of the more economical restaurants in the Magic Kingdom at around $15-35 per adult. 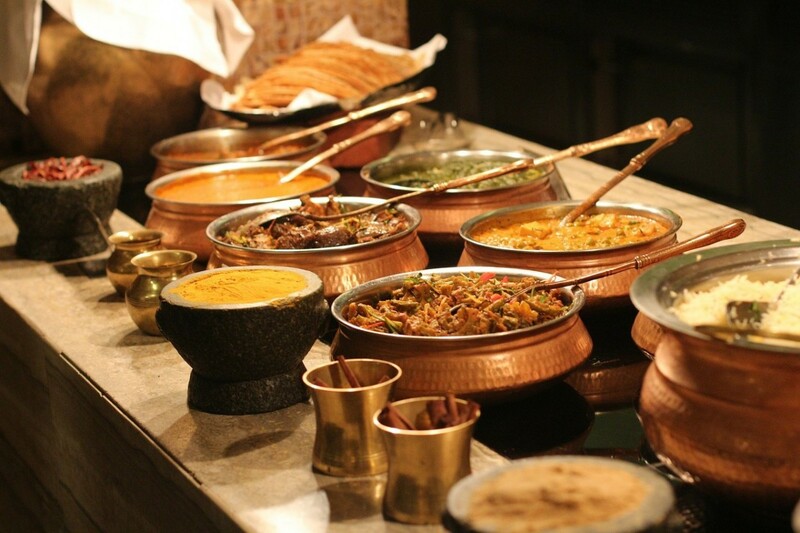 It is also a good deal on the dining plan as only 1 Table Service credit. 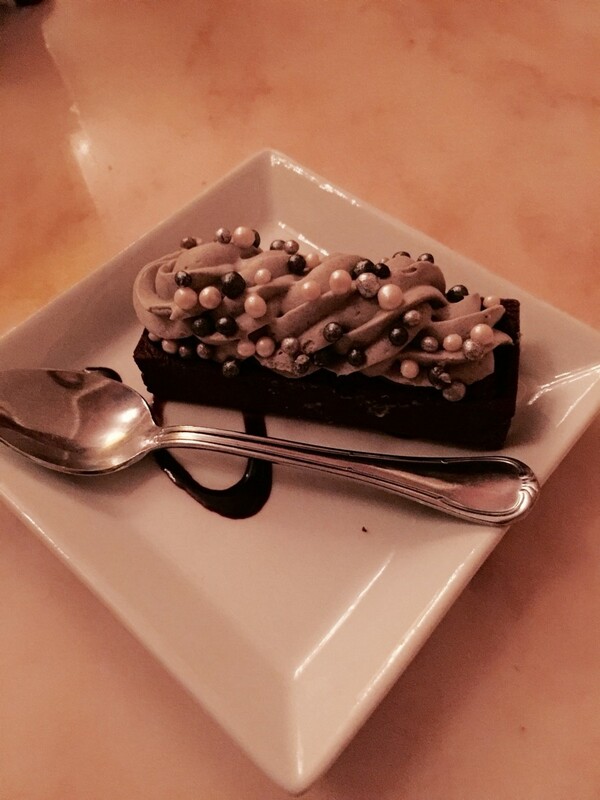 (Update: Disney will be making dinner at Be Our Guest 2 dining credits after July 27, 2018) A fun dessert to try is the "grey stuff" referred to in the "Be Our Guest" in the song from the movie. Mostly just a sugary, creamy, icing concoction on a brownie. So after reading tips from other Disney blogs, I decided I should keep our breakfast reservation in the Magic Kingdom since it was at 8 a.m. as a strategy to getting in the park before it opened at a prime location. My plan was to eat at 8 and then after our meal rush to the popular Seven Dwarves Mine Train (where I had been unable to secure a fast pass) and be early in line for meeting Anna and Elsa (requested by my daughter and also something I managed to miss a fast pass for). My plan for breakfast was part of a strategy but I was very happy we did get an extra visit at Be Our Guest! 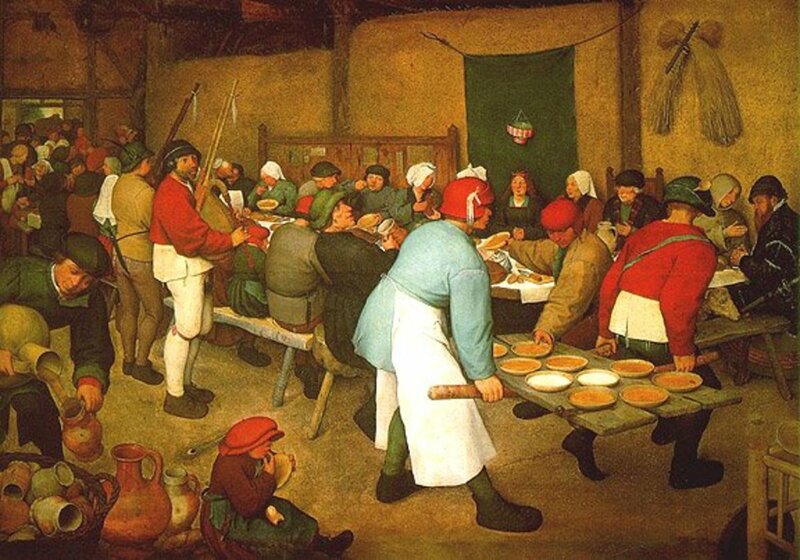 For the breakfast meal, you have the option to order ahead of time online, then when you arrive at the restaurant you are guided to computer kiosks to complete and confirm your order. 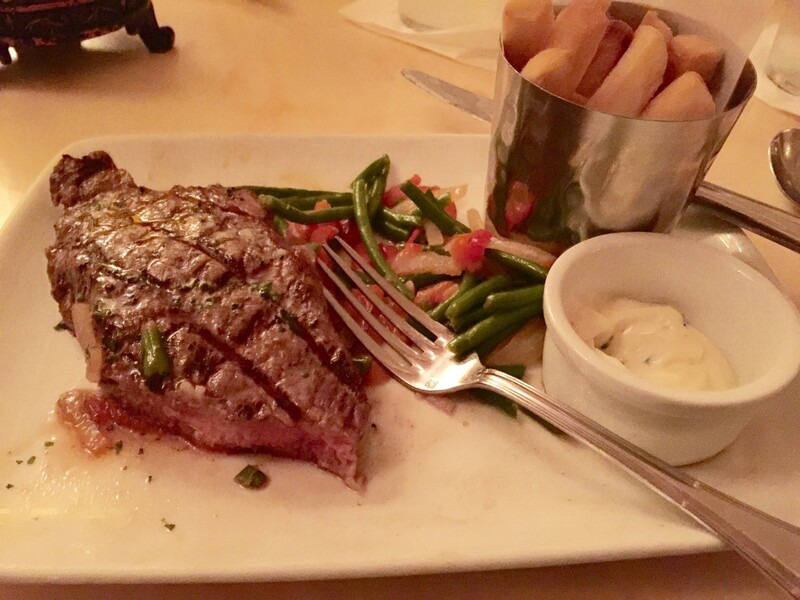 For this meal, we were seated in The West Wing which was a fun change. It had a very dark and enchanted atmosphere. The enchanted rose is present and the torn portrait on the Beast flashes back and forth between the human beastly form. 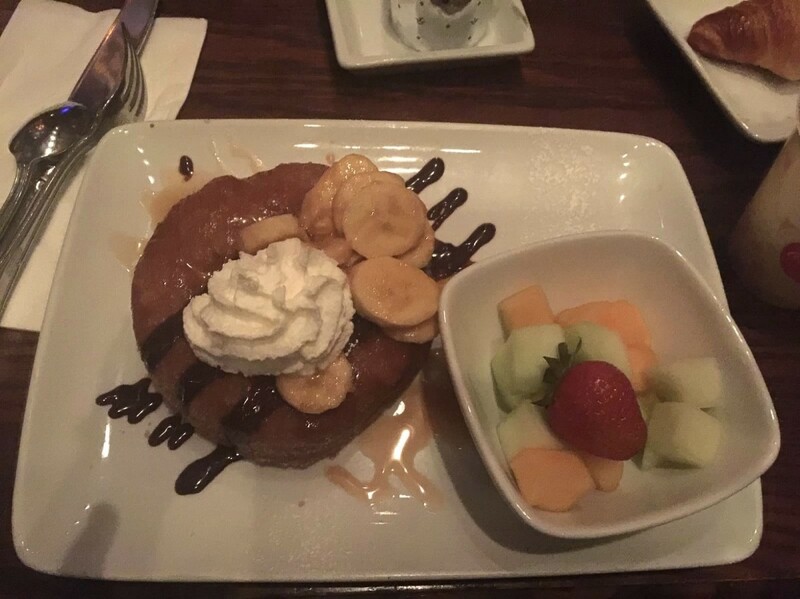 Breakfast was yummy with the croissant doughnut being our family favorite! 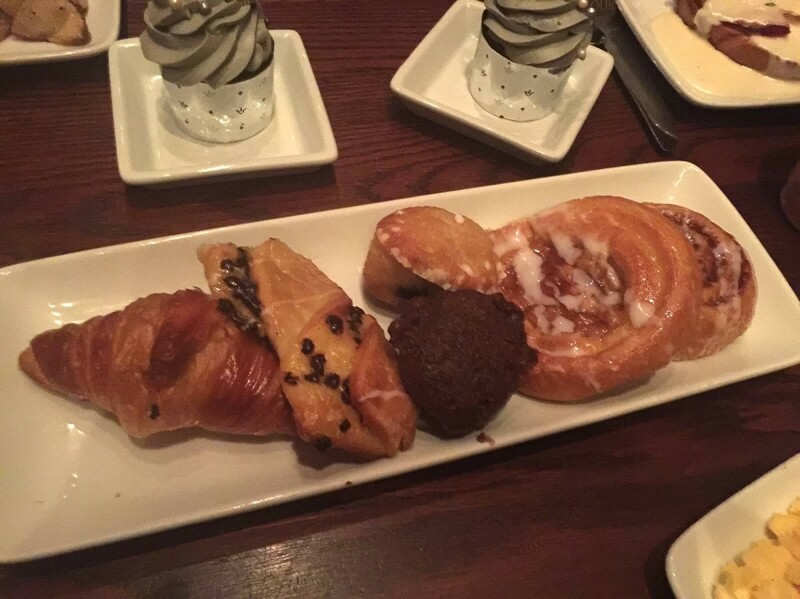 Each table is also supplied with a tray of pastries to share. And, if you want to try to the grey stuff dessert at breakfast you have the option of a yummy cupcake iced with it! 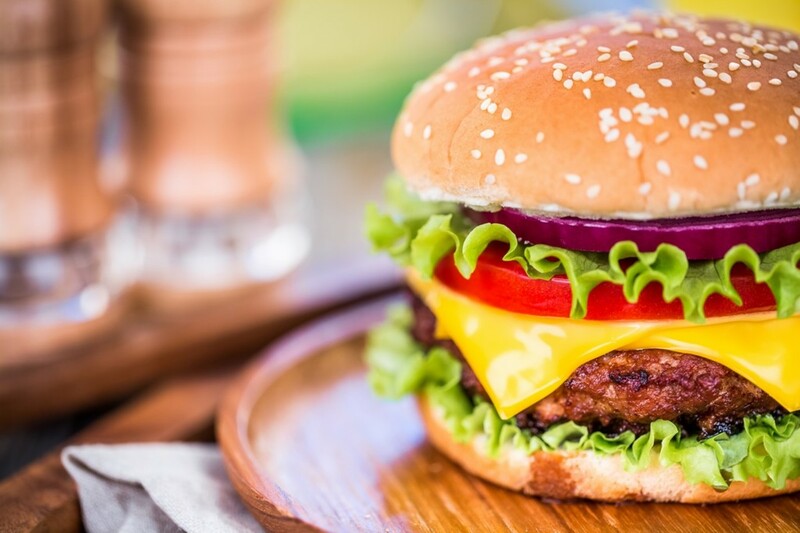 This meal is also a nice use of the Disney Dining Plan as only a quick service meal credit. After breakfast, my strategy worked and we made the Mine Train ride before the park even officially opened with basically no wait and only a 15-20 minute for Elsa and Anna! 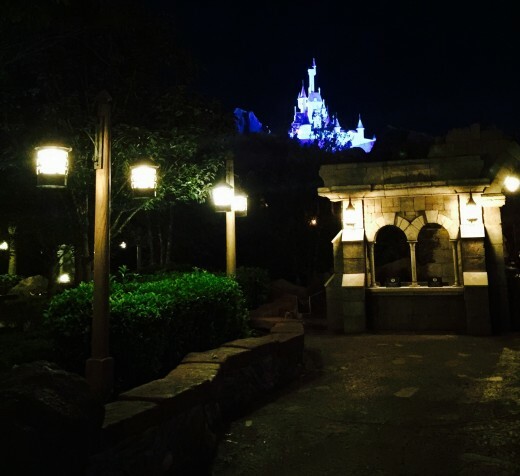 What was your favorite meal in a Magic Kingdom castle?